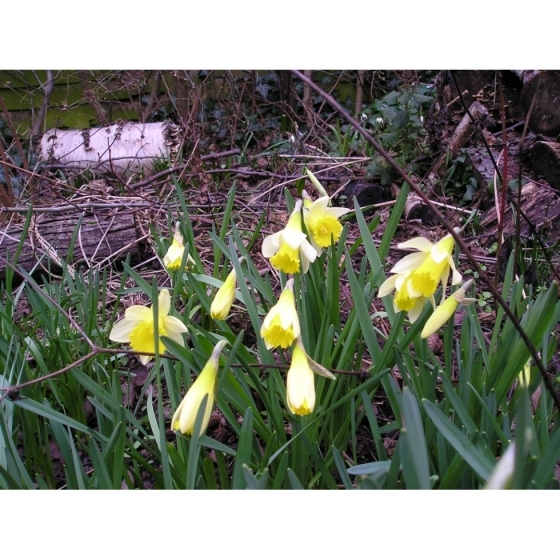 Wild Daffodil bulbs (narcissus pseudonarcissus) from Wildflowers UK. 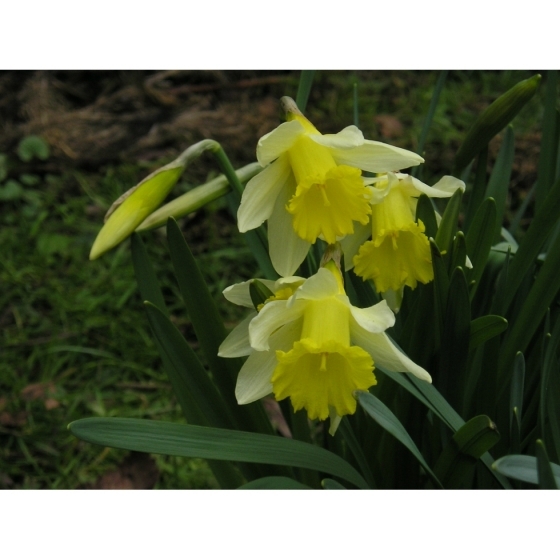 Wild Daffodil bulbs can be ordered at any time of year but will only be dispatched between October and November whilst bulbs are fully dormant. If possible please ensure orders reach us before mid-September, to ensure autumn dispatch. Wild Daffodil -narcissus pseudonarcissus is a very desirable Wildflower that is easy to establish in a spring flowering meadow. Wild daffodils or Lent Lilllies are general smaller and paler than most cultivated varieties, flowering at a similar time in March and April and looking especially beautiful in early spring sunshine. Wild Daffodil bulbs will establish best on moist soils and it is possible to introduce and establish bulbs in rough grasslands or lawns. Wild Daffodil look best growing alongside other spring flowering meadow plants such as Primroses, Cowslips, Meadow Buttercup, etc. 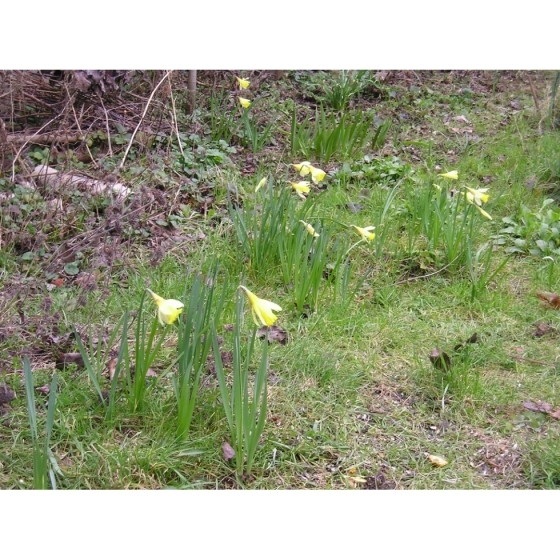 Wild Daffodil bulbs can be introduced to their permanent planting positions in October and November. If the weather prevents planting, then bulbs should be stored in a very dry, cool shady place and well spaced out until things improve. Stored carefully in this way, Wild Daffodil bulbs should keep for a long period but if stored in a damp atmosphere the bulbs will rapidly turn soft. A hole approximately 3 times the length of the bulb is required when planting. If the soil is especially heavy then the addition of a little sand can help. 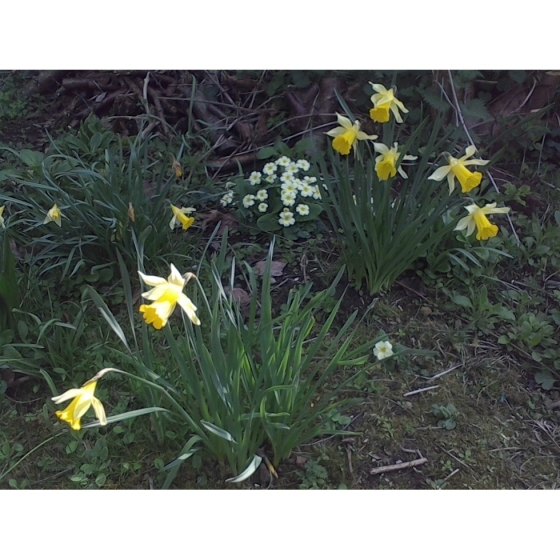 Wild Daffodil bulbs will establish more readily if a moist soil can be found in sun or shade. Bulbs will often require a season to settle into their new positions and it is quite normal for bulbs to come up “blind” in the first season with flowers appearing in the second spring. Bulbs will then multiply rapidly and can be divided in later years.